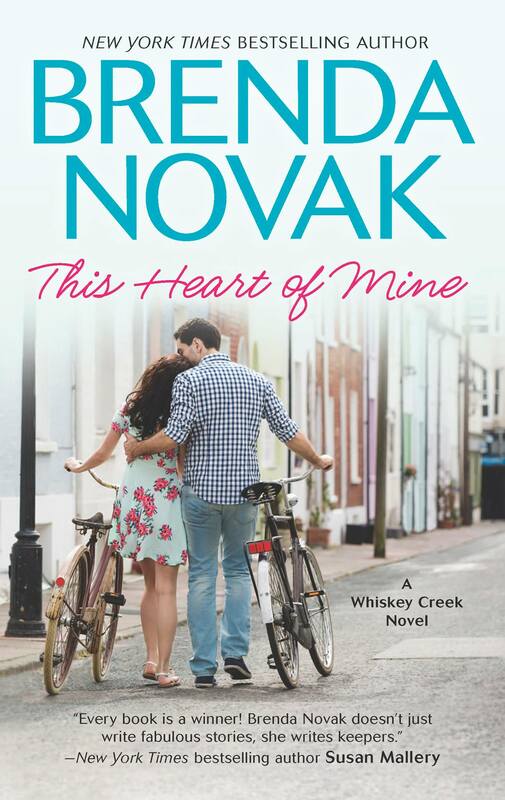 Brenda Novak has successfully tied this heart of mine into an emotional mess of sadness, helplessness and the sheer unfairness of a life that fate had the pleasure of ripping apart and throwing it to the wolves. Good people are not spared from the bad things that life loves throwing in our face. Seventeen years of Phoenix Fuller’s young life has been behind bars due to an injustice and evidence based on her upbringing and social status. She loved Riley with all her heart in high school, and he was her first and would be her last. Unfortunately parental pressure and social boundaries make Riley break Phoenix’s heart before he realizes she’s pregnant. Phoenix may be alone, abandoned and had a miserable life with a hoarder for a mother, but she never was a murderer. And she never was responsible for the death of Riley’s girlfriend after their breakup. Seventeen years later, she’s back home in Whiskey Creek to meet her son for the first time. And what an emotional face off it was, through Brenda’s brilliant narration. It will make you cry with pain, it will make you scream with frustration for the unfairness of it and it will hurt your heart as Phoenix goes through emotions that only a mother can experience of having lost everything, yet gaining all at the barest of a smile from her son. Riley Stinson had always loved Phoenix and seeing her again throws him into a state of confusion as his heart sparks love, and his brain goes in the opposite direction. He has done a wonderful job of raising Jacob alone, with humbleness and kindness that gives Jacob a chance to welcome his mother with an open mind and an open heart. But the road ahead is filled with so many hurdles as some people of Whiskey Creek are not so forgiving. “This Heart Of Mine” is Phoenix all the way. This is a dedication to all women who have gone through adverse situations in their lives and have managed to come on the other side with strength, integrity and positivity to move forward. Phoenix is just an amazing personality with a big heart, always putting others ahead of her needs despite her adverse situation, a heart filled with love and friendship, you cannot help but feel every single emotion she goes through and cry with her and applaud her courage. I knew as soon as I read the blurb that this is going to be an emotional story, but never would have guessed that this would make me cry right from the first page. Brenda Novak has always been one of my favorite writers, and personally I believe that “This Heart Of Mine” is her superlative best. There are so many small details and tender moments in the story that make you a part of Phoenix’s character, mind and soul. This is a priceless story in time that gives hope for a future and faith in friendship, as it reiterates the fact that there still are good people left in this world…and that there are good people like Phoenix and Riley who will get a second chance of becoming a family. Received and ARC from Harlequin via NetGalley for an honest review. WOW! I’m flattered that you like my book so much. Thanks a million for taking the time to read it and to share your thoughts on the story! « Love, Exes And Ohs – The Perfect Oh!!! !